Arsenal have lured six fresh faces to the Emirates since Unai Emery stepped in to the void left behind by Arsene Wenger last year. And while a permanent agreement for loanee Denis Suarez could be struck at the end of the season, other targets will be in the sights of Emirates chiefs. Nicolas Pepe and Ismaila Sarr have both been linked with Arsenal thanks to their impressive performances for Lille and Rennes respectively. However, members of the Gunners faithful believe defensive recruits might be top of the agenda after Guendouzi was snapped talking to two players in France training. 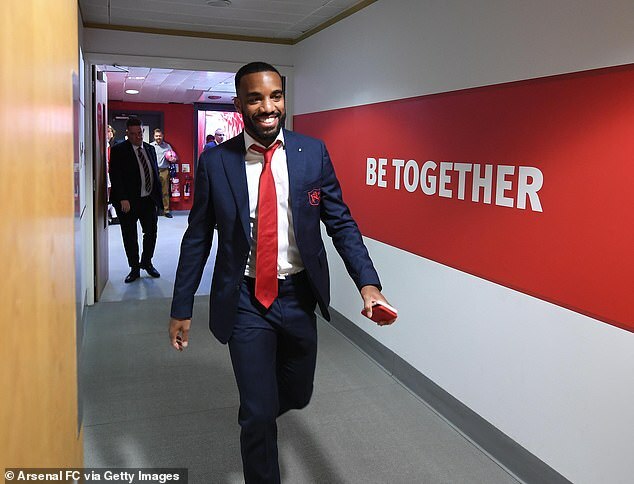 The Arsenal midfielder is currently on duty with his country’s Under-21s side as they gear up to face Germany on Thursday. And he seems to be enjoying the company of team-mates Malang Sarr and Ibrahima Konate in particular. Guendouzi posted a picture of himself with Sarr and Konate, who play for Nice and RB Leipzig respectively, on his Instagram story. And that has set tongues wagging among Arsenal supporters, who are eager to see more money invested in Emery’s squad. Arsenal, meanwhile, are in the midst of a two-week break as their players are on duty with their countries. Next up for Emery’s side is a showdown with Rafa Benitez’s Newcastle at home on Monday April 1. Arsenal sit fourth ahead of the clash and are in the driving seat to secure Champions League qualification. They are also vying it out in the Europa League, with Napoli their opponents in the quarter-finals. Why are Arsenal continually being linked to Nicholas Pepe? Arsenal first-team operations manager Ameesh Manek has been charged with misconduct following a heated exchange with Crystal Palace staff last weekend. The Football Association have confirmed the Gunners staff member has been charged following an incident at half-time of the home defeat to the Eagles on Sunday. It is understood the charge relates to an incident in the Emirates tunnel during which Manek is alleged to have been abusive to opposition members of staff. Sportsmail understands Manek was did not use discriminatory language during the flashpoint. Sources claim the incident was not aggravated, relatively low-key and was quickly defused. Indeed, key members of staff from both clubs were surprised to hear the news that Manek had been charged on Friday morning. Nevertheless, the FA, after studying the referee’s report, have seen fit to charge Manek. 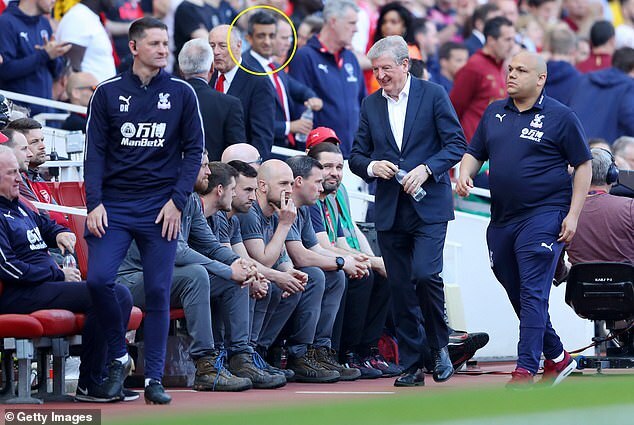 A statement read: ‘Ameesh Manek, Arsenal’s First Team Operations Manager, has been charged with misconduct following the fixture between Arsenal and Crystal Palace on Sunday [21/04/19] in the Premier League. ‘It is alleged his language and/or behaviour in or around the tunnel area at half time of the fixture amounts to improper conduct.